I’m facing an issue using the MSMQ plugin. Let me describe you an example, to reproduce the problem. You’ll run into this error: “Cannot deserialize the message passed as an argument. Cannot recognize the serialization format.”. And the message has been pulled out from queue and lost. Thank you for the message. We will set up a server and test as well. Will let you know what we find. We were able to reproduce the issue and we are looking into a resolution. The “bug” relates to how the message is initially sent to the queue, depending on this format it will try to return the same. When sending a message to the queue, Linx looks at the format of the data that is going to be sent. If the item is serializable (i.e. a CustomType), Linx uses an XmlMessageFormatter to serialize the data, otherwise it uses a BinaryMessageFormatter. In this case, the data was sent using the XML formatter. The reader currently only supports the Binary format, hence the error (trying to read XML data instead of binary data). 1.2) Add a JsonWriter function below the local instance of the CustomType (Customer). For the properties of the JsonWriter, for the Data, just refer to the CustomType (Customer). 1.3) Below the JsonWriter you can use the MsmqSendMessage function. In here, for the message body, just refer to the output of the JsonWriter. The process will now send a Json string as the message body. 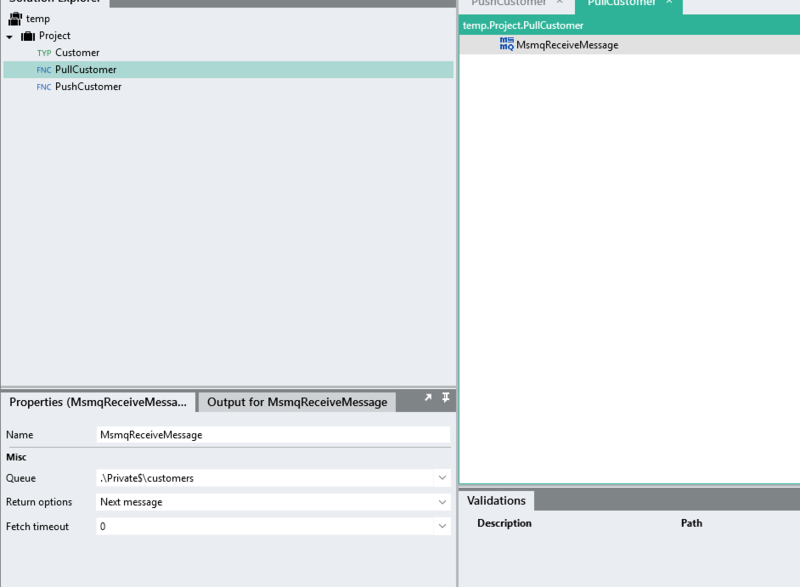 2.1) Use a MsmqReceiveMessage function like before. 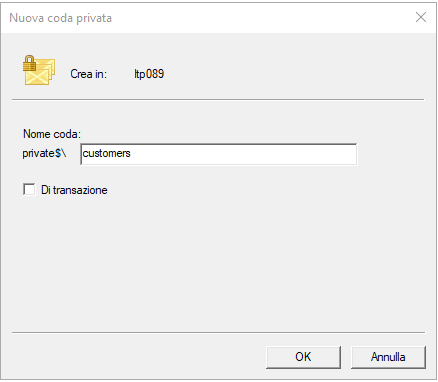 2.2) Below the function, add a local instance of the CustomType (Customer). 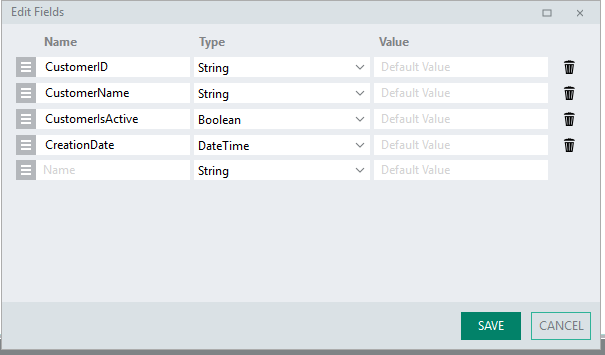 Assign the value as the output from the MsmqReceiveMessage function. You will now see the CustomType (Customer) is populated with the message details. We are probably not going to support reading XML formatted messages in the foreseeable future. If you have any more questions/issues, feel free to ask. Your workaround certainly works, but unfortunately my queue is shared with other custom application whom using Xml formatted messages. The development team has been looking into the issue with MSMQ and decided to make some changes on the plugin. The changes will allow the user to send or receive any format, including the XML. It should take a couple of weeks to implement. Will let you know once it’s available. The MSMQ Plugin has had its functionality upgraded to handle sending and receiving of objects in the XML and Binary formats. If you do not have the latest release, you can always just update your MSMQ plugin version separately. 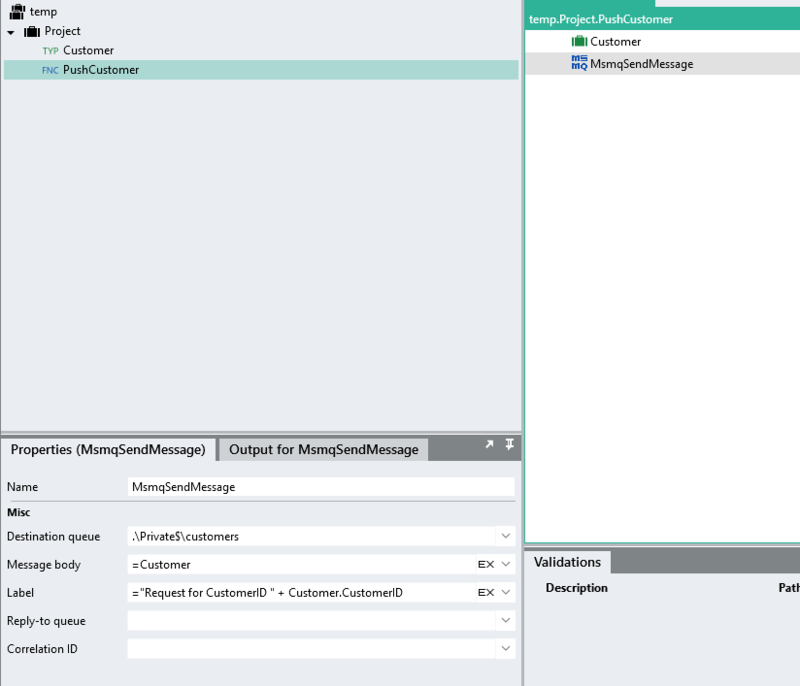 The change is noticeable when setting the properties for the MsmqSendMessage/MsmqReceiveMessage functions. There is an option for “Message format” which can either be XML or Binary (The Receive configuration will have to match the Send configuration format). Similar to sending a message, when receiving a message you must specify what format you want to receive it as. Furthermore, in the “Output type” property you must set it appropriately (If Format is XML then set the output type as the CustomType you created and are expecting to receive, if Binary then set the output type to Byte). If you have any further issues/questions just let us know. Hi Ronan, it’s works perfectly! Thank you so much!